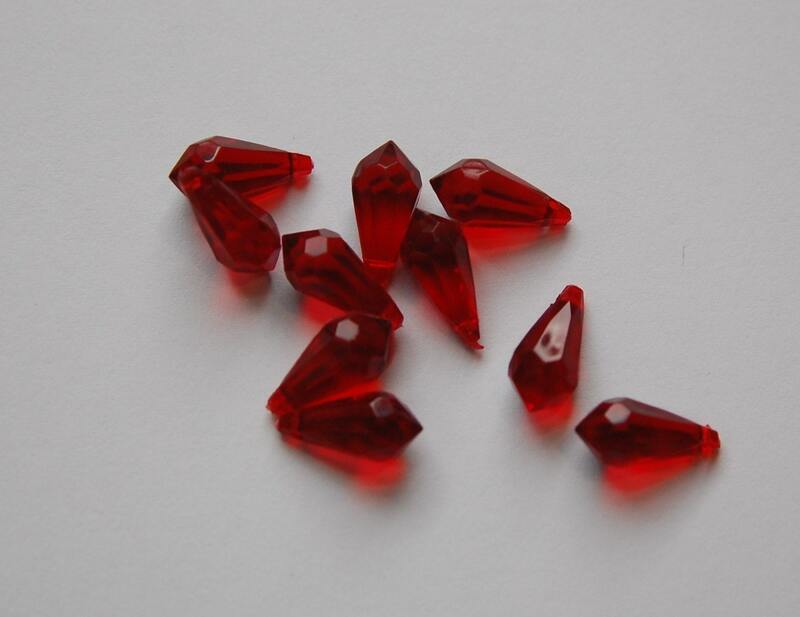 These are plastic/acrylic faceted teardrop drops or charms. These measure 13mm x 6mm. You will receive 10 pieces. Very plastic-y looking. Still has piece where the holes were drilled that need to be sanded. VERY lightweight and good in a pinch.